Sky News is marking one year since it’s Ocean Rescue campaign was launched, with a special report on Britain’s plastic recycling exports ahead of a documentary on Sky Atlantic tonight. The programme reports that an investigation by Sky News has found “thousands of tons of plastic scrap collected for recycling from British households have been transported and dumped on sites across the world” and that waste is now stockpiled in countries as far away as Poland and Hong Kong than to consign it to landfill. 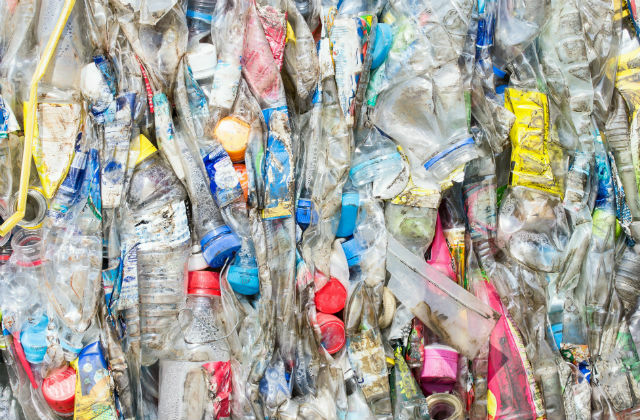 It considers the impact of China’s recent ban on importing plastic waste for recycling, reporting that Britain sends two thirds of its plastic scrap exports to China and does not have the capacity to deal with the waste in the UK. China’s ban on plastic and paper waste imports has worldwide implications. 3.7 million tonnes of plastic waste are created in the UK in a single year. Of that total, the UK exports 0.8 million tonnes to countries around the world, of which 0.4 million tonnes is sent to China (including Hong Kong). We know that too much waste is being exported, and speaking to Sky News, the Environment Secretary set out that now is the time to turn “what is a challenge into an opportunity” and that need to reduce the amount of waste we produce and process more of it at home. We are working closely with industry, WRAP, the Environment Agency, the devolved administrations and local government to understand the impact and action that needs to be taken in respect of the ban, and last year, the government and the Environment Agency took steps to make sure operators were clear on their duties to handle waste in light of China’s proposals. Fresh guidance was issued by the Environment Agency to exporters, stating that any waste which does not meet China’s new criteria will be stopped, in the same way as banned waste going to any other country. The Environment Agency is also investigating the dumping of waste in Poland. Our 25 year plan for the environment sets out our ambition to eliminate all avoidable plastic waste, outlining clear ways to reduce the use of plastics that contribute to pollution, and broader steps to encourage recycling and the more thoughtful use of resources. The Producer responsibility regime for packaging (PRN system) has significantly improved recycling rates, and we have already committed to reforming it in our Waste and Resources Strategy which we will publish later this year. We have already begun discussions with industry about how to take forward.